This month at WOW HQ is anything goes, so I have taken inspiration from a fellow artist Lea DeCosta www.careandfeedingofartists.com and used her ‘Serenity’ words. 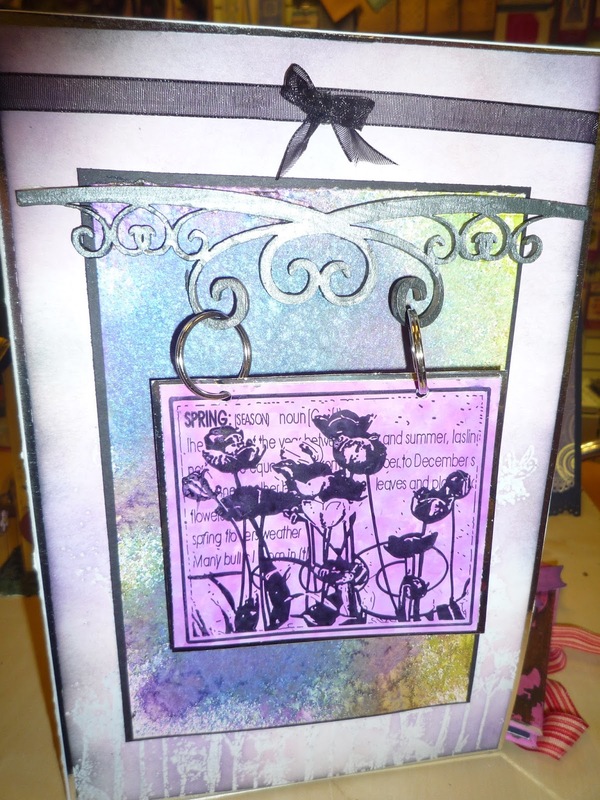 I started by taking the flower and meadow stamps from ‘Make a wish’ and ‘ME Collage’ and stamping onto white card stock with Versamark and heat set with clear embossing powder. I then gently went over the images with distress inks. The second layer is made of spray inks and placed on top while wet is sea salt. This is left overnight to dry and to cause the pattern on the card stock. The third layer is alcohol inks onto glossy card stock then stamped with Versamark and heat set with ebony embossing powder. 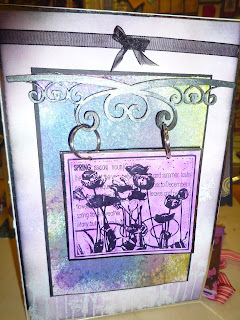 The scroll at the top of the card is heat set with silver embossing powder. This is my last post as a design team member. I have had a wonderful time showing you my creations and being challenged by the monthly competitions. You will see me return on occasions as a guest. So congratulations to the new design team members and I wish you well, keep crafting and inspiring others. ← Stampotique Alphabet and Sequins….